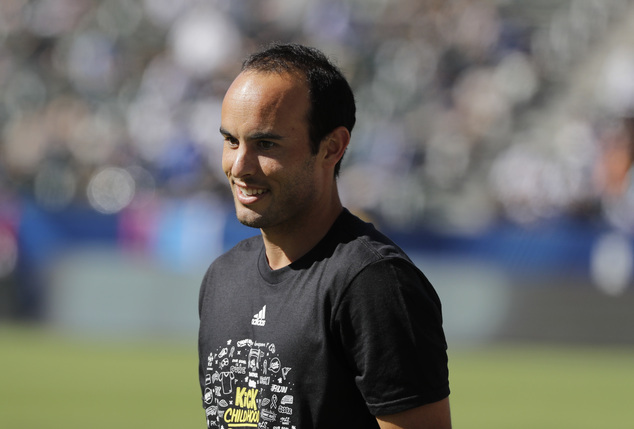 Landon Donovan has put his hand to help an injury ridden Galaxy side. The winger is going to open his kitbag once again and hit the training ground of the club to be prepared for another stint. As per Donovan, he is so emotional about Galaxy that he can’t see it in trouble and he felt he could probably contribute a little bit in the capacity of a player if he re-joined. But, with no soccer under his belt in 24 months, he had his doubts and he went to the head coach to discuss the possibility with him and ask for his opinion on it and when Bruce Arena told him that it would not be the worst thing in the world for Galaxy to have him on board the second time, Donovan got convinced. Donovan had nearly 10 minutes to play on his second debut last night and he thought he couldn’t match the speed of the rest of the 21 players on the ground despite all of them being very tired by that time in the match. Galaxy next travels to Sporting Kansas City for their 30th league match of the season.